Where am I? > Home > Travel Insurance Quotes > Seniors Travel Insurance > Care home demanded to make improvements amid "serious concerns"
"Serious concerns" have been raised regarding the treatment of vulnerable residents at a care home in East Lothian. The Care Inspectorate has ordered Drummohr Nursing Home in Musselburgh, Scotland, to make urgent improvements in five areas, it's been revealed. These focus on the hygiene conditions of the home, the quality of support, and care for residents' belongings. A spokesman for the Care Inspectorate said: "The improvement notice we have issued clearly lays out the improvements we must see so that the care experienced by residents improves quickly. "We will visit this care home again soon to check on progress and if we are not satisfied that the matters raised are being addressed urgently, we will not hesitate to take further action. "Everyone in Scotland has the right to safe, compassionate care which meets their needs and respects their rights." 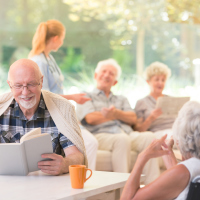 The Care Incorporate has outlined in its notice that the home must provide sufficient care and support for each of its residents. It also says that staff must be given clear instruction and guidance on how best to prevent illnesses like pressure ulcers and how to maintain the highest levels of hygiene. Owner HC-One has been told to address the concerns by the end of June. "The health and well-being of our residents is our highest priority and we take all feedback from the Care Inspectorate extremely seriously," said a spokesperson for HC-One this week. "We are working closely with the Care Inspectorate and relevant authorities to make the improvements that are needed. "We have a new home manager in place who is being closely supported by the wider management team and together they are already making significant progress. "We look forward to welcoming the inspectors back in the very near future and showing them the ongoing improvements that are being made." If you're travelling abroad with an elderly family member, don't forget to sort the relevant insurance package to cover your holidays.